Did you know that reading aloud to a dog can help children improve their confidence and reading skills? 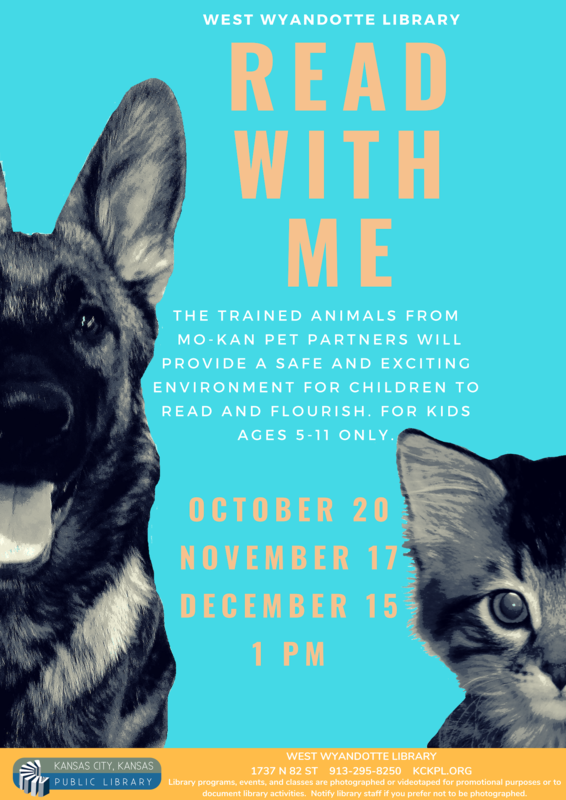 The trained dogs from MO-KAN Pet Partners will provide a safe and exciting environment for children to read and flourish. For kids ages 5-11 only.Children under 9 must be accompanied by an adult. Registration optional.